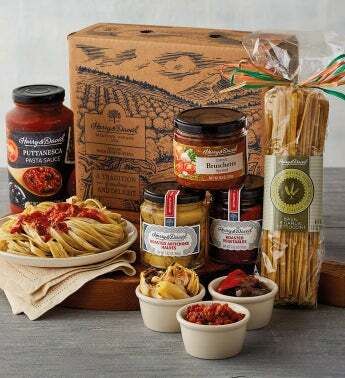 Everything you need to make a beautiful and delicious Italian meal at home. Start your Italian-inspired evening by enjoying bruschetta on your favorite crusty bread, followed by a main dish of handmade fettuccini with rich, vibrant puttanesca pasta sauce. Also included are premium roasted artichoke halves and roasted vegetables, which are delicious whether mixed into pasta or served with bread or crackers.